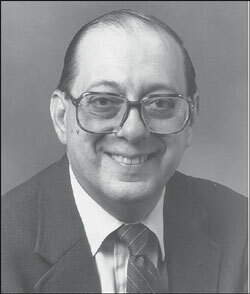 Michael Osnato, former superintendent of schools of Montclair, New Jersey, was instrumental in organizing a committee of local citizens, teachers, administrators, parents, and members of The Montclair Fund for Educational Excellence, to become a part of The Children's Literature Initiative. This group was to come up with ideas to raise funds for buying books for all of the libraries in the Montclair public schools. Most of the members were on the fund-raising part of the committee. Five members were on the book selection committee that instead of who worked with the teachers and librarians to find out the schools' needs and interests. Over the course of four years, more than $200,000 was raised from grants, gifts, and an adult spelling bee. Competition in the adult spelling bee consisted of teams of three opposing other similar teams. There were realtor teams, doctor teams, teacher teams, teams of local citizens, women teams, men teams, etc. Each year over 60 teams entered, paying three hundred dollars per team in order to participate. Word callers were celebrities who lived in the town. When all was done, the committee of five was given the funds raised to buy books, and lots of books were added to the elementary and middle schools and the high school. Every cent raised by this initiative was given to the committee to spend. And did they buy good and new books! All of these were trade and reference books. Teachers and students used these books as an integral part of their daily activities and even as part of the curriculum. By the way, I attended all of the spelling bees, and I did well on the first three words. After that, I could hardly pronounce the words. Books to study the potential word list were provided to each team. What fun. What a good cause in these times when libraries are suffering from severe cut backs. The new superintendent, Dr. Frank Alvarez, has decided to keep the movement going, and he has organized a good committee to meet the challenge. There may not be a spelling bee every year, but some activity will be set forth to raise a lot of money to keep the libraries well staffed with new titles and to keep the publishers, teachers, students, and librarians happy. It doesn't matter what your political persuasion is, I think all should read Richard A. Clarke's Against All Enemies , Simon & Schuster, 2004. If anything, this book will provoke thought and discussion about world events, especially terrorism. Very few are attacking Clarke's concerns with protecting the homeland. Little evidence has shown up anywhere that discounts most of the serious events that led up to 9/11. Whether or not you agree with President Bush's decision to go to war with Iraq, you will have to look at some of the events that led to this decision. Students need to know we live in a political world and that the United States is a part of that world. (This is not a simple statement.) We are a society of many creeds and religious beliefs. We have many values. War stories have filled our shelves and we know from books such as Stephen Crane's The Red Badge of Courage , (Signet Classic), and John Wilson's And in the Morning , (Kids Can Press), the price, horrors, fears, unexpected events of wars. If English teachers are involved in teaching historical fiction, they will find plenty of good writers, such as Ann Rinaldi, Cast Two Shadows , (Harcourt); Avi, The Fighting Ground , (Harper Trophy); Harry Turtledove, Gunpowder Empire , (Tor); Maureen Garvie and Mary Beaty, George Johnson's War, (Groundwood); L. M. Elliott, Under a War-torn Sky , (Hyperion); Pete Nelson, Left for Dead , (Delacorte); Nelly S. Toll, Behind the Secret Window ,( Puffin)); Kevin Coyne, Marching Home , (Viking); Tamar Bergman, Along the Tracks , (Houghton Mifflin); Uri Orlev, Run, Boy, Run , (Houghton Mifflin); H. Bruce Franklin's collection, The Viet Nam War in American Stories, Songs and Poems , (Bedford Books/ St. Martin's Press); Esther Forbes, Johnny Tremain , (Houghton Mifflin); Jerry Spinelli, Milkweed , (Knopf); James Bradley, Flags of Our Fathers: Heroes of Iwo Jima , (Delacorte); Walter Dean Myers, Fallen Angels , (Scholastic); Milton Meltzer's collection, Hour of Freedom: American History in Poetry , (Boyds Mills Press); June A. English and Thomas D. Jones, Scholastic Encyclopedia of the United States at War , (Scholastic); and Liz Sonneborn The American West: An Illustrated History , (Scholastic). These are just a few of the many books that can be used to stimulate thinking and discussion. Another book that deserves reading is The Language Police: How Pressure Groups Restrict What Students Learn , by Diane Ravitch, (Knopf). Both right and left political wings exert pressure on book companies regarding what should be included in texts. Some examples include: (1) The use of "peanuts to be included" is because one group stated that peanuts are nutritious. Another group challenged the use of the word "nutritious" and indicated some people have allergic reactions to them (2). Another issue dealt with quilting in the mid-nineteenth century, some members on the screening committee objected because this view, although historically accurate, it "contained stereotypes of females as 'soft' and 'submissive.'" The list goes on and on, including challenges to a story about Mount Rushmore, the environment, a selfish rich baker, and an arrogant king— just a few among other issues. Of course, in the last issue of The ALAN Review I mentioned lots of categories and books that probably would warrant a challenge, but there is a large group out there that wants students to get an education void of anything that is controversial. Notice how many biographies really avoid sensitive issues about the personal doings of our nation's leaders. We now know that Jefferson and Washington had slaves, and Jefferson even slept with at least one. Read Jefferson's Children: The Story of One American Family by Shannon Lanier and Jane Feldman, (Random House). Of course, we all know that the lyrics of all songs are poems. What a great way to get students hooked on the wonders of poems. Among some interesting books that have been published in recent years are: Go In and Out the Window: An Illustrated Songbook for Young People , music arranged and edited by Dan Fox, and commentary by Claude Marks, (The Metropolitan Museum of Art and Henry Holt); Getting to Know You: Rogers and Hammerstein Favorites , illustrated by Rosemary Wells (Harper Collins); All Night, All Day: A Child's First Book of African- American Spirituals, selected and illustrated by Ashley Bryan (Aladdin); Cats: The Book of the Musical , music by Andrew Lloyd Weber, based on Old Possum's Book of Practical Cats, by T. S. Eliot (Faber/The Really Useful Company); Rogers and Hammerstein's In My Own Little Corner of the World, illustrated by Katherine Potter (Simon & Schuster); Rodgers and Hammerstein's My Favorite Things, illustrated by Renee Grant (Harper Collins); God Bless America , words and music by Irving Berlin, illustrations by Lynn Munsinger, Summertime , from Porgy and Bess , by George Gershwin, DuBose and Dorthy Heyward, and Ira Gershwin, paintings by Mike Wimmer (Aladdin); Easter Parade by Irving Berlin, illustrated by Lisa McCue (Harper Collins); I Hear America Singing: Folk Songs for American Families , collected and arranged by Kathleen Krull, illustrated by Alien Garns (Knopf); Over the Rainbow , by E. Y. Harburg and Harold Arlen, illustrated by Julia Noonan (Harper Collins). Having each student select a favorite song and illustrate it with drawings or photographs is a worthwhile project. What a way to start a poetry unit. Then continue with such books as: Is This Forever, or What? Poems and Paintings from Texas , selected by Naomi Shihab Nye (Greenwillow); Paint Me Like I Am: Teen Poems from the Writerscorps (Harper Tempest); Eve's Red Dress, by Diane Lockward (Wind Publishers); The Poetry Invisible Ladder , edited by Liz Rosenberg (Henry Holt); Wham! It's a Poetry Jam: Discovering Performance Poetry, by Sara Holbrook (Wordsong/Boyds Mills Press); The Body Electric , edited by Patrice Vecchione (Henry Holt); Truth and Lies , edited by Patrice Vecchione (Henry Holt); Whisper and Shout: Poems to Memorize , edited by Patrice Vecchione (Cricket Books); Poems for Homeroom: A Place to Start , by Kathi Appelt (Henry Holt); Wherever Home Begins: I00 Contemporary Poems , selected by Paul Janeczko (Orchard Books); Words Afire , by Paul Janeczko (Candlewick Press); Heart to Heart: New Poems Inspired by Twentieth Century American Art , edited by Jan Greenberg (Abrams); Jinx by Margaret Wild (Walker); Blushing, Expressions of Love in Poems and Letters , collected by Paul Janeczko (Orchard); Singing America: Poems that Define a Nation , edited by Neil Philip, illustrated by Michael McCurdy (Viking); and Dream Makers: Young People Share Their Hopes and Aspirations , selected and illustrated by Neil Waldman (Boyds Mills Press).